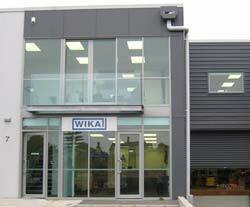 WIKA New Zealand, NZ's premier supplier of pressure and temperature measuring instrumentation. Process Instruments Limited was acquired by WIKA Alexander Wiegand SE & Co. KG of Germany in September 2007. Prior to this, PIL was a privately owned company servicing the instrumentation and fluid control industries. In 1998, PIL became an IANZ (International Accreditation New Zealand) accredited laboratory for pressure / vacuum and conforming to NZS ISO/IEC 17025. (Currently NZS ISO/IEC 17025:2005). The IANZ laboratory 677 has its scope specified as metrology and calibration. These 2 internationally recognised standards provide both our customers and suppliers with the confidence that WIKA Instruments Limited maintains a very high standard of quality and service. We sell, distribute, assemble, service and repair pressure gauges, diaphragm seals (with our locally installed filling station), pressure transmitters/transducers and pressure switches as well as thermometers, thermocouples, RTD’s, thermowells, analogue and digital temperature transmitters. Portable hand held pressure indicators as well as precision pressure indicators/controllers, deadweight testers and other calibration equipment is also part of our product range on offer. Please do not hesitate to contact our office for more details and information.